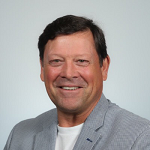 Karl Hantho is president of the Americas for Videxio, a cloud-based video meeting and calling service that seamlessly connects devices and users through the cloud for professional video conferencing. Built on a dedicated global video network, Videxio is interoperable with video room systems, browser-based video, Skype for Business, and Google Hangouts Meet. Karl has always been passionate about evangelizing the use of video conferencing to increase personal productivity, improve collaboration, and strengthen relationships. Prior to starting Videxio's business in the Americas in 2013, Karl’s was a member of the original joint venture leadership team in 1994 that established and grew BT Visual Images to become the US acquisition that launched TANDBERG in the North American market in 1997, the business which he led through 2004. Karl received an MBA degree from McGill University and holds a Bachelor of Commerce degree from Dalhousie University. Over the years, he has held several Board positions and has been involved with industry associations working to evangelize and grow the adoption of video conferencing. Plan your video conferencing migration strategy now to avoid headaches and rushed decisions later.